Paradise Village is a unique gated enclave of only 40 single family detached homes. There are no condominiums or multi-family residences in Paradise Village. Located in Bonita Springs, Florida on West Terry Street, Paradise Village boasts a unique feature exclusive only to Paradise Village. Every home site has gulf access and is situated either on a gulf access canal or the Imperial River! The community is located on the Imperial River with canals running toward West Terry Street to provide gulf access. 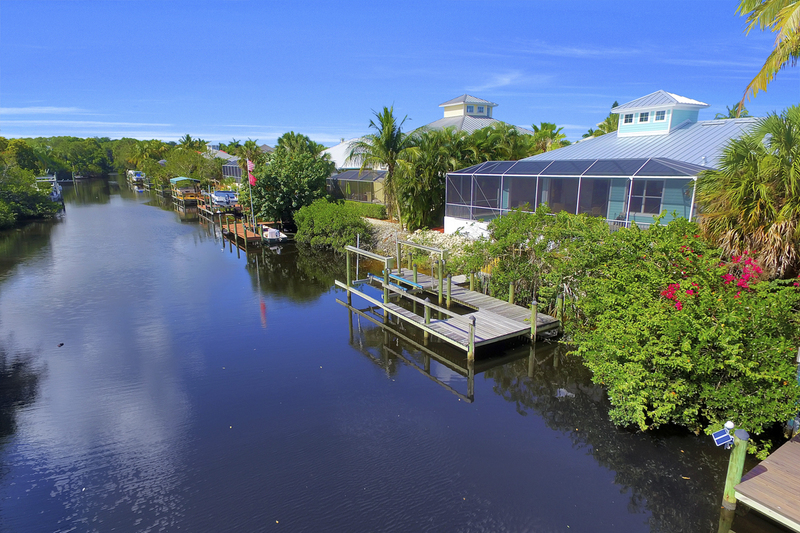 Besides having boat access from your back yard, the additional benefit of living in Paradise Village is low fees, gated community and the "Florida" "Key West Style" homes of the community. A Olde Florida neighborhood fit for Earnest Hemmingway. Homes in Paradise Village are priced from the high $500's and offer canal views, gulf access and nearby proximity to the gulf beaches of Bonita Beach & Barefoot Beach, Bonita Springs Library, Coconut Point Mall and SW Florida International Airport. Looking for a way to boat and golf? Bonita Fairways golf course is just across the street from Paradise Village. Other nearby gulf access communities include Serrano of Bonita Springs and Brendan Cove. Both communities are also gated, deed restricted and offer varying degrees of water/gulf access. A few Paradise Village home sites may still be available. Pricing is subject to change, but vacant lots are available from the $400,000's.